Is there be anything better than snuggling up on a cold winter day with a mug of hot chocolate? Well, yes there is. 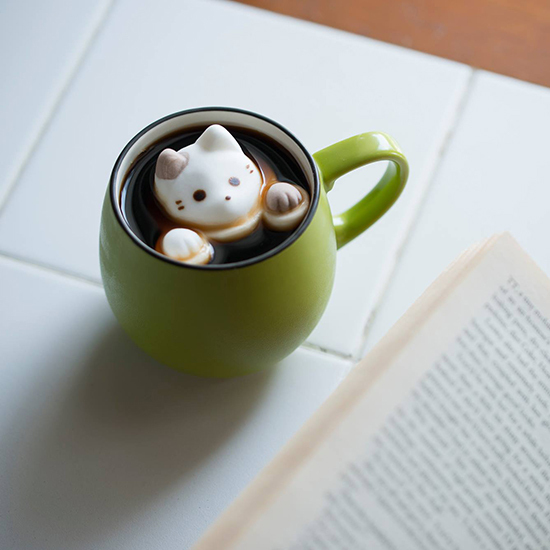 It involves curling up with a mug of hot chocolate filled with marshmallows shaped like kittens. Check out these from the Yawahada marshmallow shop in Japan. Ohh my, these are so cute. Unfortunately the shipping is a bit of a palava but we thought these were so amazing they were worth a mention! The kitty marshmallows cost about £5.40, plus shipping, for two cats and four paws. Available from the Yawahada Marshmallow Shop in Japan. Well Japan has gone and won the internet, these have to be the cutest things we have ever seen. Check out these marshmallow cats from Japan. This entry was posted in Cats and tagged Aww, cute, food.